Club Penguin has released its newest issue of Club Penguin Times! 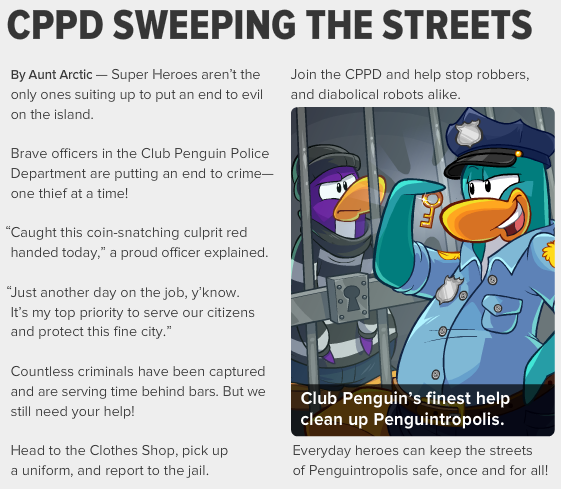 In this week's newspaper, Club Penguin informs us that the party is still going on, the Club Penguin Police Department sweeping the streets for villains/bandits and of course the upcoming events. By Aunt Arctic -- In the face of extreme danger, Super Heroes are unwavering. But, the battle for the city continues. The second article of this week's newspaper states the Club Penguin Police Department sweeping the streets of bandits and villains. Club Penguin needs your help to put these villains/bandits to jail! By Aunt Arctic -- Join the CPPD and help stop robbers, and diabolical robots alike. 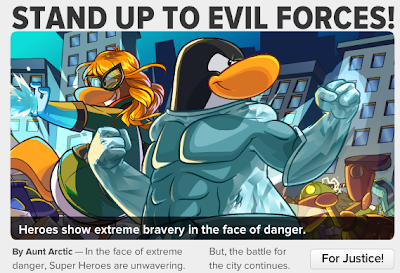 Everyday heroes can keep the streets of Penguintropolis safe, once for all! May 9 - Postcards - Don't forget to say "Hello" with the latest Featured Postcards! May 9 - Penguin Style - What's your style? Check out the latest fashions and make them your own! 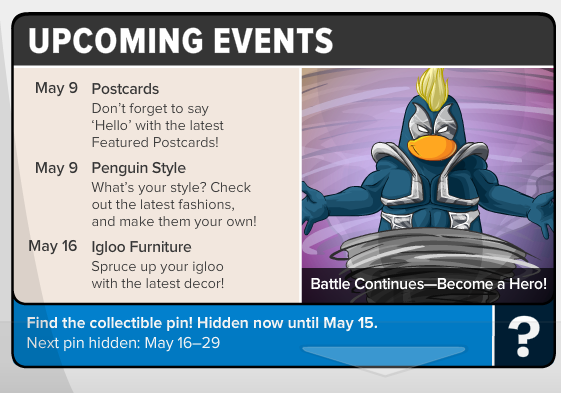 May 16 - Igloo Furniture - Spruce up your igloo with the latest decor! Are you enjoying the Marvel Superhero Takeover? I know I am! Leave your comments below we'd love to hear what you think of the party! What do you like about it? What do you not like about it?